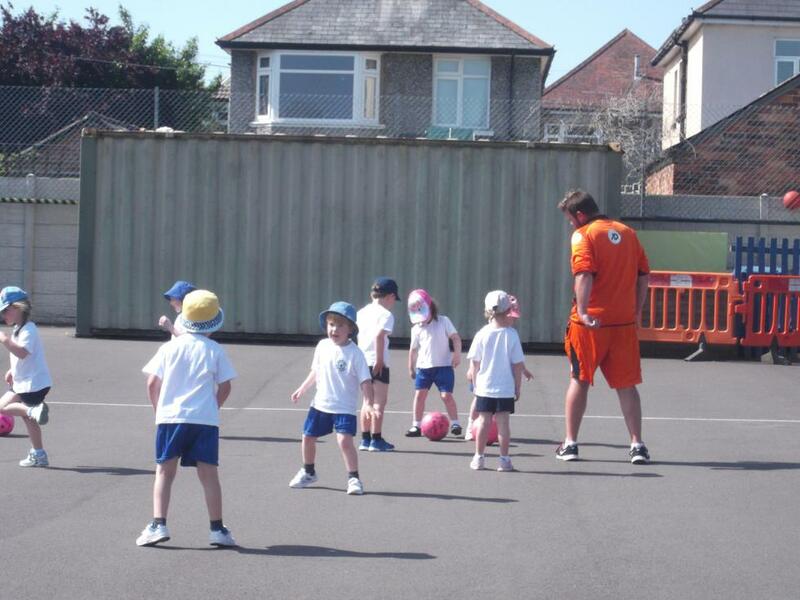 Bournemouth Football Club has been in school coaching Reception today and the children’s enthusiasm has been exceptional. Today they have been learning to use the inside of their foot to kick a ball. 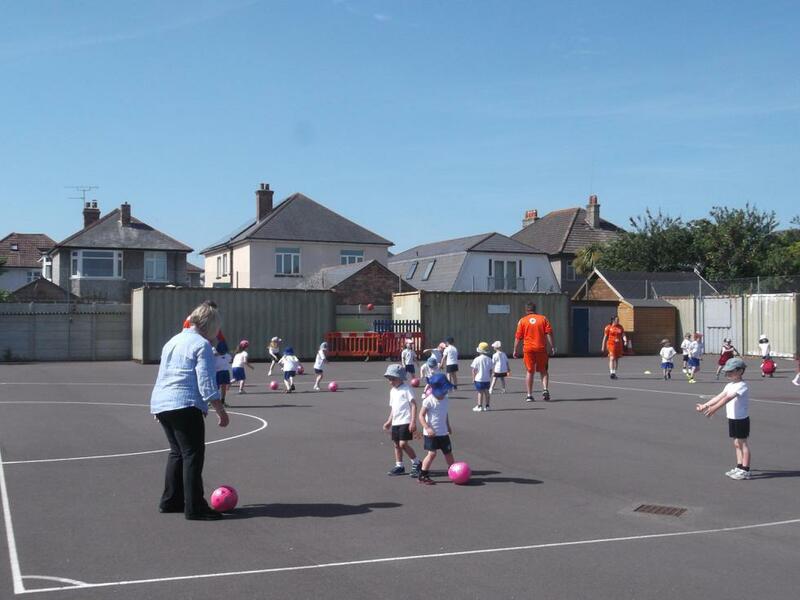 There are definitely some budding football stars amongst them, including Mrs Samson. Joshua tells me that scoring goals is easy but a little tricky! They are definitely looking forward to their next session as are the four coaches from the Bournemouth club.